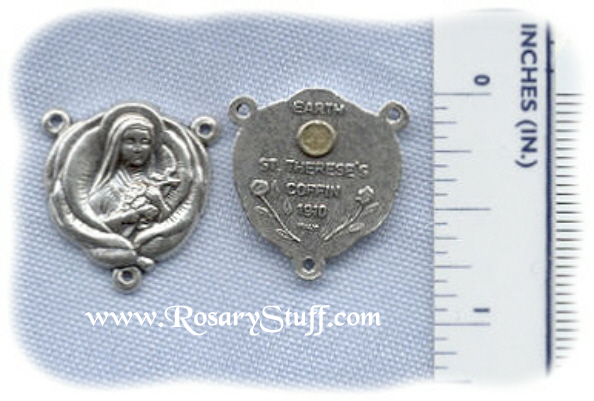 Italian oxidized silver plate St. Therese rosary center. This beautiful rose center features St. Therese in the center along with a small earth relic from her coffin on the back. Click HERE for information about Saint Therese of Lisieux including her background and patronage. Sized at a little over 3/4 inch tall (including rings) and a little over 3/4 inch wide.